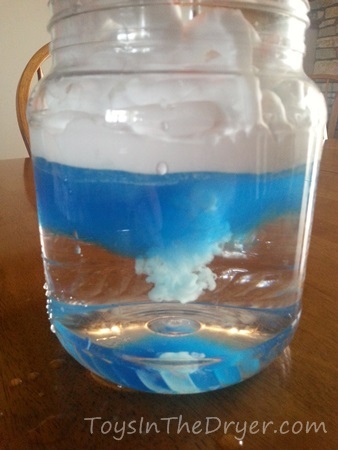 Last week there were horrible tornadoes across the US so the girls and I made a tornado in a jar so I could teach them a little about how they form. Two nights ago we had horrible storms at our house which included greater than one inch hail. The girls and I did another experiment to talk about how rain and hail is formed. First off I’ll tell you that you need shaving CREAM and not a gel-type shaving cream. I tried this with gel first and it was a failure. We went and got some cheap shaving cream at the store and started over. 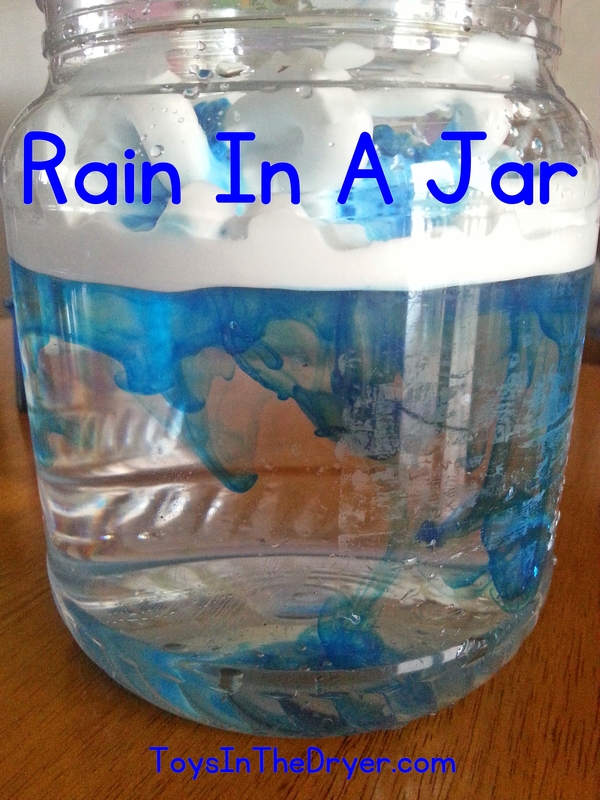 Fill your jar almost to the top with water then cover the water with shaving cream. 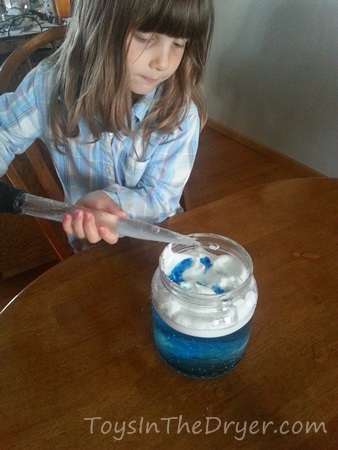 Next put drops of blue food coloring all over the shaving cream. Use a dropper if you have one (we ended up using a baster as a dropper) to add small amounts of water over the food coloring drops. 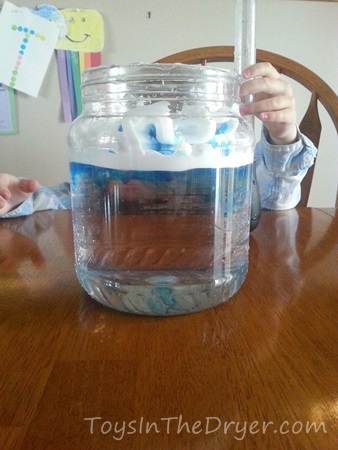 It will start to “rain” as the food coloring seeps through the “clouds” into the water. Rain forms when the clouds get a lot of water and then start to drip out. If you want to have more fun, add a more water at a time and watch the cloud drop then lift back up. That’s how hail forms. The cloud starts to drop then lifts back up. The cold when lifting causes the rain to freeze causing hail. My girls had a ton of fun with this and tried it over and over. They added water quickly and slowly so see how the rain changed. 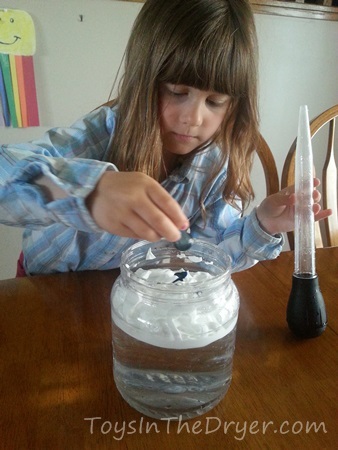 They even tried to make a tornado again but the shaving cream made the water too murky to see the vortex. Have you tried any weather experiments? What have you done?